So Phileas has been a little quiet but she is still in the Sandwich Islands and has cropped up with Wild Bill Osgood. 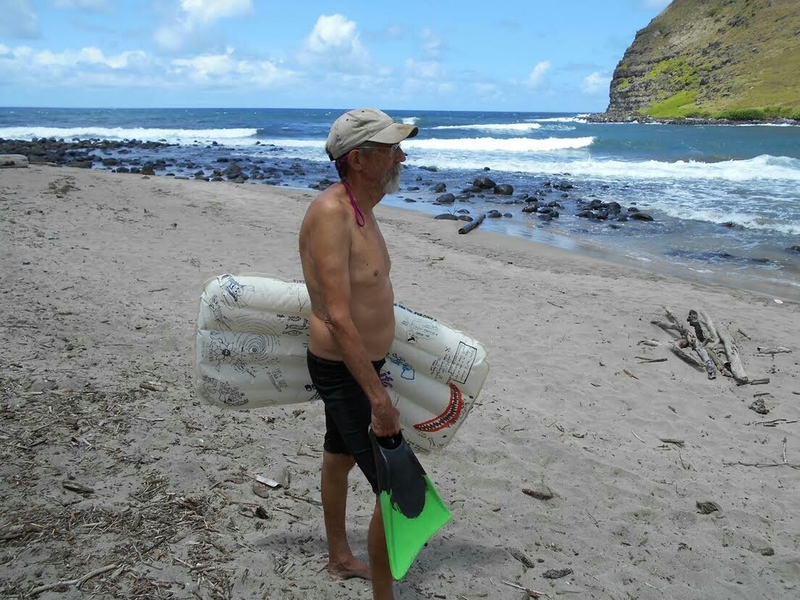 For those unaware, Bill is a wonderful artist and a quiet stalwart of Hawaiian surfing. A talented bodysurfer, Bill was excited about trying a mat. The mat was cool. I need one. Easy to drop in and you can flip the bow up when a bitchy little chop wants to slap you across the face! There is some discussion around where Phileas goes next. She may stay in Hawaii or it may be time for another continent. PS Wild Bill currently has a book out and available on Amazon.com entitled Outlaw Artist. Get hold of your copy HERE.